Viva! : both of the above? Roxy Music burst onto the scene in 1972, led by the charismatic Bryan Ferry and peddling a sound that didn't really fit into any of the genres of the day. They weren't progressive, they certainly weren't metal, and while some members of the press dubbed them 'glam', they said the same about anyone who put on stack heels and a bit of makeup, which was just about everyone that year. In retrospect, Roxy fit best into the rather small 'art rock' category, along with David Bowie, as much as they fit into anything at all. For some reason, Roxy never settled on a bassist, and just used session guys both in the studio and live. The other 'regular' members were guitarist Phil Manzanera (whom I've heard described rather unfairly as 'a lucky roadie'), saxophonist Andy Mackay and drummer Paul Thompson, with (Brian) Eno on synths, later replaced by Eddie Jobson. First single, Virginia Plain, is an enduring classic which everyone should own, with a little 'Tron brass way down in the mix. Find it on their Greatest Hits (****½), any subsequent compilation, or the CD of their debut album. 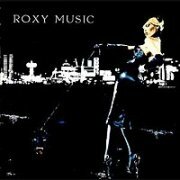 Speaking of which... Hard on its heels came Roxy Music itself, also a bit of a classic. Their cool, arty sound captured the hearts of many a disaffected teenager, many of whom sadly went on to form rather reprehensible bands in the early '80s, but we can't hold Duran Duran et al. against Roxy; you might as well blame Megadeth on Motörhead. 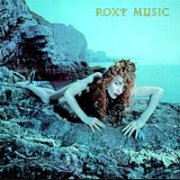 Compared to their second album, however, Roxy Music sounds a little formative in places, docking it one star from its rating. Album highlights are Ladytron, If There Is Something and Sea Breezes, with some nice 'Tron strings on the aptly-titled Ladytron, probably played by Ferry, despite Eno's credit for 'synthesizer and tapes', and a few chords on If There Is Something. 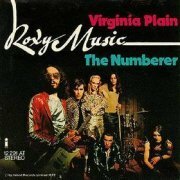 Like all of Roxy's albums, though, it's never going to be considered a Mellotron classic, but is still very worthy of your attention. For Your Pleasure was even better, including possibly Roxy's two best songs, the effervescent single Do The Strand, and the dark, moody In Every Dream Home A Heartache (one of the few songs written about a blow-up doll), performed live by Roxy and solo Ferry to the present day. The rest of the album's no slouch, either, with nary a duffer amongst the eight tracks present. There's a good bit of 'Tron strings on the lengthy The Bogus Man, and both strings and choir on the title track, presumably still played by Ferry. By this time, Eno was playing his VCS3 and singing backing vocals from the mixing console (! ), causing consternation among some concertgoers, so it was no real surprise when he left to pursue his (ultimately) successful solo career, being replaced by the still very young Eddie Jobson, fresh out of Curved Air, doubling on keys and violin. Stranded, their second album of '73, is still good, but the cracks were beginning to show. A certain commercial intent can be noted on Just Like You, as Ferry's solo career began to take off and the boundaries between that and Roxy started to become blurred. However, most of the album's still excellent, particularly Street Life and the moody and magnificent (and just a little bit camp) A Song For Europe. The only Mellotron on display is a bit of brass on Street Life, which is unusual enough to warrant attention, but not enough for the Mellotron fan to splash out, I suspect. Country Life's sleeve takes the prize for 'rudest Roxy album cover' hands down; I can't remember who the lady is on the left, though I think she was connected to the band, but the one on the right is the girlfriend (wife?) of Michael Karoli from Can. The more you look at the picture, the ruder it is, and I should know. Er, moving swiftly on... The album carries on down the path of 'easier listening', begun on Stranded, with noticeably shorter songs all round, with the exception of opener The Thrill Of It All. I thought it was Mellotron strings on this track, but on closer listening it's revealed to be Jobson's violin, although the strings on Bitter Sweet are definitely tape replay. Not a bad album, but already not a patch on their earlier work. By Siren (the cover featuring Ferry's latest squeeze, Jerry Hall), there's no obvious Mellotron to be heard, though I'm assured the sound effects opening the album, leading into killer hit single Love Is The Drug are in fact 'Tron FX tapes. Unsurprisingly, the album heads further towards the mainstream, though compared to the drivel they produced later, it's a classic. The live version of Both Ends Burning was a single, released a year later and is of similar quality, and the rest of the album's good, but not great, although Sentimental Fool's intro recalls earlier triumphs. Shockingly, there were only slightly over three years between the recording of these five albums, so it's a minor miracle that the quality was kept as high as it was. Before taking a three-year gap (unheard of in those days, leading everyone to assume they'd split up), Roxy released Viva!, which should surely have been a double album. It combines live recordings from 1973, '74 and '75 into a seamless whole, although no less than three different guest bass players contribute. Jobson's Mellotron (originally an M400, later a Mark V) was used slightly more than in the studio, partly to fill out the sound, although two of the three relevant tracks here had 'Tron on their studio versions, the exception being Out Of The Blue, with a great string part. I have read that Roxy's 'Tron had oboe tapes to back Mackay (who doubled on oboe), but I can't hear any evidence here. The Bogus Man is a lot shorter than its studio version (unusually), and features the same string part, while If There Is Something, just to confuse the issue, sees Jobson switching between violin and 'Tron strings. Anyway, it's a pity no-one's thought to release any more live Roxy from this period, although various b-sides turned up on the box set of a few years back. I doubt if there's any Mellotron involvement, but I'll let you know if I ever get to hear them. So; none of these are really 'classic Mellotron albums', although both For Your Pleasure and Viva! have enough to make it worth listening for. However, both Roxy Music and For Your Pleasure are essential, and all of these albums are worth hearing, though care should be taken the later you go. After they 'reformed', Roxy released Manifesto, including the awful Dance Away, and carried on putting out terrible albums, reaching their nadir on Avalon. Very nasty. Stick with these.